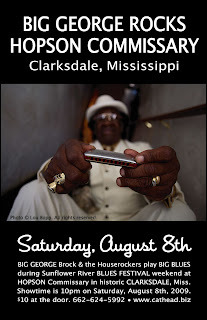 "It's a big blues weekend in the Delta, so you know Big George just has to be part of it," according to Brock's manager and owner of Clarksdale's Cat Head blues store, Roger Stolle. "Big George grew up just outside of town here, where he worked on cotton plantations, fought in local boxing matches and learned to play the blues from guys like Muddy Waters and Howlin' Wolf. He loves to come home and play for visiting tourists and his local fans." 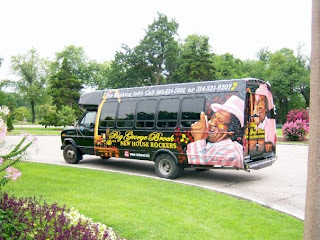 To book a reservation on his "Delta Blues Bus Tour," contact Big George Brock at 314-531-9207. For more information on Hopson Commissary, go to http://www.hopsonplantation.com/. 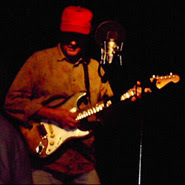 View Brock's upcoming concert schedule at http://www.cathead.biz/. Visit Carol Boss Art at http://www.carolbossart.com/. Thank you Chuck Lamb for the great picture of the clock. For Clarksdale my friends, it may be later than we think. Our town has endured an acute, 20-year social and economic decline, which has left in its wake a bone yard of iconic tombstones. Now defunct buildings and signage remain where once-thriving businesses used to open their doors, six days a week. The sounds of old National cash registers ringing, car doors opening and closing, and the clomping of busy feet stepping with purpose and verve have slowly faded into a surreal echo in our memory's' ears. The Coahoma Bank Clock no longer oversees the corner of Yazoo and Third. London has Big Ben, New York, Times Square. For over 50 years, Clarksdale has had the Coahoma Bank Clock. Despite this comparison and truth, the cherished and ornate clock was quietly removed last Friday afternoon by AmSouth, without a word, and destined for the junkyard. No plans for its removal or announcement of the bank's intentions were made to Clarksdale. In my opinion, this act is comparable to that of flying a crop duster into the old Quaker Oats building. A thousand hats should go off to Ronnie Drew for saving it and relocating the clock to Hopson Plantation. At least it is in safe keeping for now. The only thing more troubling than the act itself is the blatant indifference attached to its execution. Make no mistake, Clarksdale. This is about far more than nostalgic musings and corporate callousness, where both history and heritage are concerned. This is the straw that should break the Camel's back. This is about everyone in Clarksdale needing to take heed to the fact that our history, heritage and downtown are the very resources that can not only save, but also revitalize our economy AND this piece of unique soil that we all call home. We are called as a community to rise to a great challenge at this moment in our history. For far too long, Clarksdale has been at war with itself. Racial and social divisions have joined hands with laziness, indifference, and complacency. The results have been endless bickering and ultimately, crippling atrophy of the limbs of progress. In the interim, our downtown-the beating heart of any city-has seen too many attitudes harden and too many arteries of potential blocked by stubbornness and the red tape of personal and political agendas. There are many citizens struggling daily to build bridges to the future, but it will take everyone to gather the stones required for the task. What time is it, Clarksdale? The answer is as clear as the glass on that old, broken clock. Now is the time! We are all in the same boat, floating on the same muddy river, and it would serve us, our history and our heritage, if we could all start rowing in tandem and develop a solid vision of how to resurrect the Phoenix that is Clarksdale. Otherwise, this boat is destined to remain spinning in circles, going nowhere, while progress finds safer harbors all around in other towns like Tunica, Greenwood, Hernando - even little Como. Most of these places are associated with revitalization programs designed to provide grants and other funding to inject life and commerce back into the veins of the architecture of the 19th and 20th centuries, as well as the communities who occupy them in the 21st. What time is it, Clarksdale? It's half past doing it, and a quarter before too late. Every time we raze another historic building. Every time we stand by and say, "What a shame", or even worse-say nothing at all, we only strengthen those haunting winds that sail down Delta, Yazoo, and Third. The whole world is fascinated with Clarksdale's history, cotton, blues and our ties to such literary icons as Tennessee Williams. We are an economically un-tapped enigma with epic potential...and only 42 minutes from the front doors of Tunica's airport, which will soon be receiving commercial flights on a regular basis. Can we afford to let one more chunk of our charm and history be ripped down and tossed into a museum, lest we become a museum ourselves? When I was informed of the clock's ill fate, I had to go see it for myself. Sunday evening around midnight, I found myself alone at the gates of AmSouth, under a near-full moon. Only the whistling wind and the clapping of The Big Pink Guest House's gate could be heard. But as I gazed up at that huge hole in our history, I thought about Coahoma Bank and my very own father's 23-year tenure there. I began to remember watching the annual Christmas parade from the corner window just above that clock. Soon, I could hear marching bands, car horns, and Early Wright broadcasting from just across the street at WROX. And just for a minute, I could hear the soothing, hourly chimes of that grand, old clock. I could smell the aroma of the Wonder Bread Bakery. I could see the faces of people walking into The Den for a nice dinner, into the Cream Boat for a scoop, and I remembered the old folks sitting in the lobby of the Alcazar/Central Building. These chimes at midnight in my head made me think that perhaps we need to be reminded of exactly what time it is. Perhaps we have needed an uber-entity such as AmSouth, who doesn't even list a local number in the phonebook, to rip down an old clock, thus pulling the wool from our eyes in the process. How much community uproar, and how much money do we need to come up with to restore and reinstate that clock to its rightful place? To make a statement and demand a turn in our history and course? I am suggesting that we do just that, and offering the notion that the Coahoma Bank Clock might well serve us all as an hourly reminder of what a community can do, if it is wound tight, well-oiled...and ever aware of exactly what time it really is. Randall Shaw Andrews is a Clarksdale-born writer, chef, photographer and producer. This is the old Italian Club just outside of Clarksdale Ms. This building is owned by Charlie Monty of Clarksdale. Ronnie Drew(known at Hopson as Donnie Rew) has told me many stories about his good times that he had in the Italian Club back in the 70's. 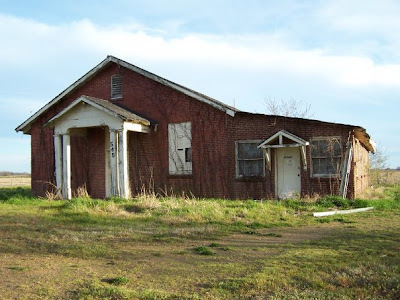 It is sad to see the building empty and rotting down because it played a big part in the history of the early Italian settlers in Coahoma County. I have been told that when the early settlers arrived in Coahoma County they needed a support system because they were looked down on as second-class citizens in the area. They were here as farm workers. The Italian club gave them a place to go to enjoy themselves and to be with other Italians in the area. They worked hard and slowly bought land and are now some of the largest landowners in the area. A real success story and I think that this building may have played a part in their story. I would love to see some of the stories of events or memories that others have of this building. My only memory was to attend a band practice of the Remains, Ronnie Drew, Tommy Hubbard, Terry Moore, Bird Elliott, and Rich Wall.